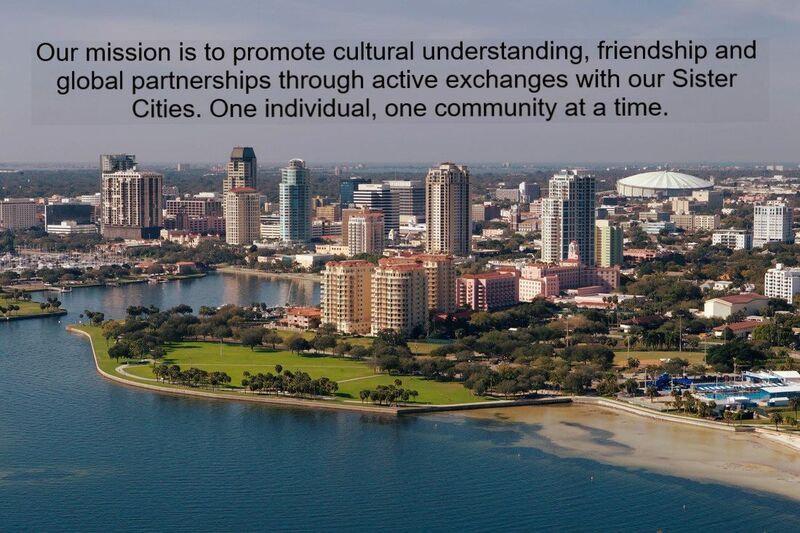 The purpose of Sister Cities St. Petersburg (SCSP) is to foster international relationships between St. Petersburg and cities with similar interests by creating exchanges in areas of culture, education, tourism, business and government. SCSP works to develop respect, understanding and cooperation through citizen diplomacy. To do this, we develop relationships with people in cities that have cultural, education, tourism and business environments similar to St. Petersburg’s. Working outside the realm of government but with its support, we encourage and facilitate cultural and education exchanges, business opportunities and increased tourism. For the 2019 Student Ambassador to Takamatsu, Japan, application, click here. For a Host Family Application, click here.